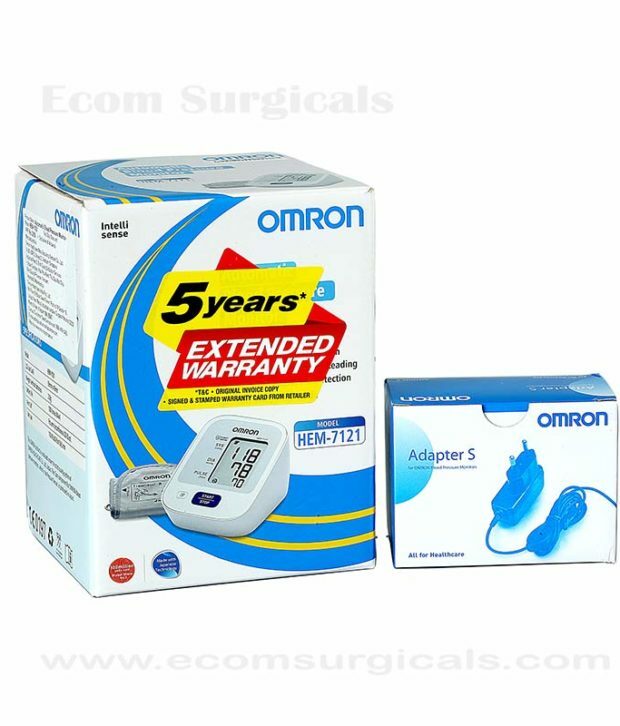 Omron HEM 7121 Blood Pressure Monitor helps you to determine your upper arm blood pressure reading. You will get all three readings at the same time. That is, systolic, diastolic, and pulse rate. Also it has a memory of last 30 readings. 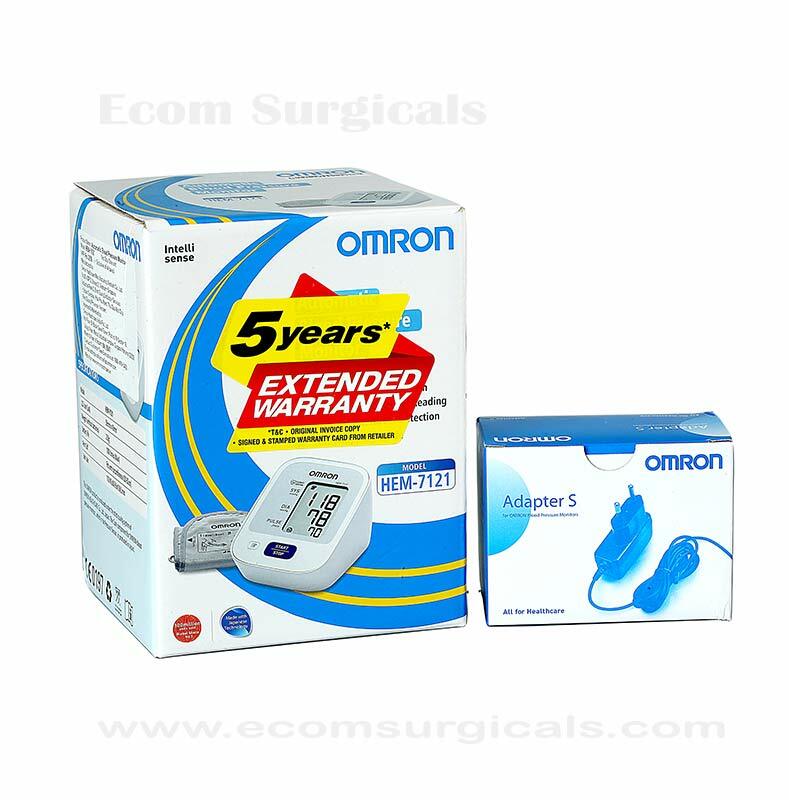 The accuracy of Omron HEM 7121 bp monitor has been vigilantly tested and is manufactured for long term use. It is mostly suggested to have the monitor calibrated every two years to safeguard proper functioning and accuracy. Please contact your nearest Omron service center for this. Now in our store you will get a discount for this BP Monitor. Moreover, you will get a power adapter completely free at this rate. Hence you have the option of both battery and power adapter to use this BP Monitor. In all the other models of Omron, you need to purchase the power adapter separately. 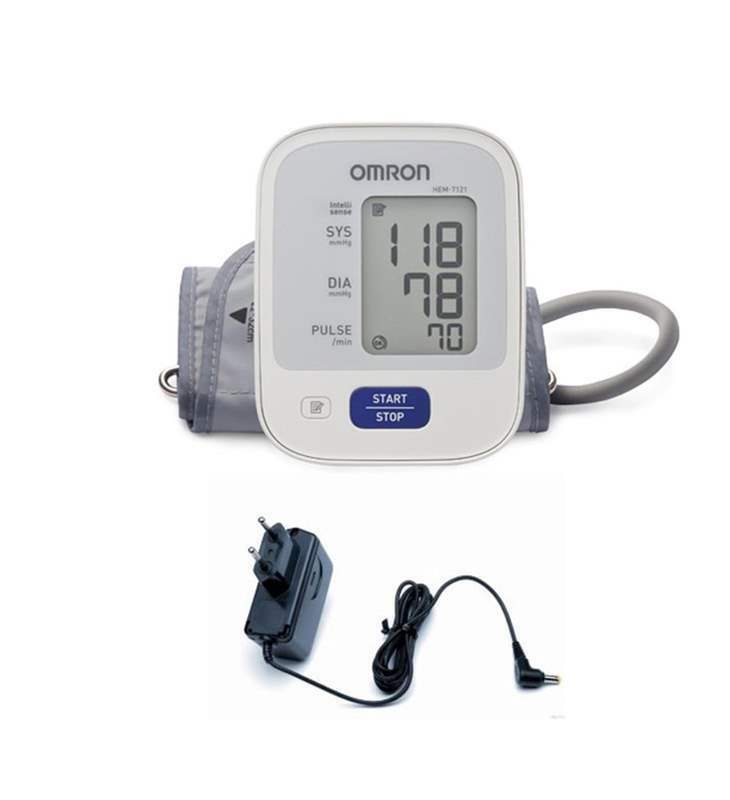 Omron bp monitor HEM 7121 has Hypertension Indicator. If either of your diastolic or systolic pressure is varying from normal approved range, the heart beat symbol will blink. This usually happens when your systolic pressure goes above 135 mmHg or diastolic goes above 85 mmHg. In the LCD display, the first reading represents systolic blood pressure, second reading for diastolic and the third one is for pulse rate. Body movement detection is another important feature of this device. Normally in automatic bp monitors, when your body move during the measurement, it will give variations in readings. So this feature let you know whether you have taken the reading in the correct way or not. Also it has the feature called Cuff Wrapping Guide. This feature helps you to identify the errors in wrapping cuff around your arm. Errors like wrapping cuff loose or too tight are crucial in getting reading variations. “AA” Batteries – 4 Nos. 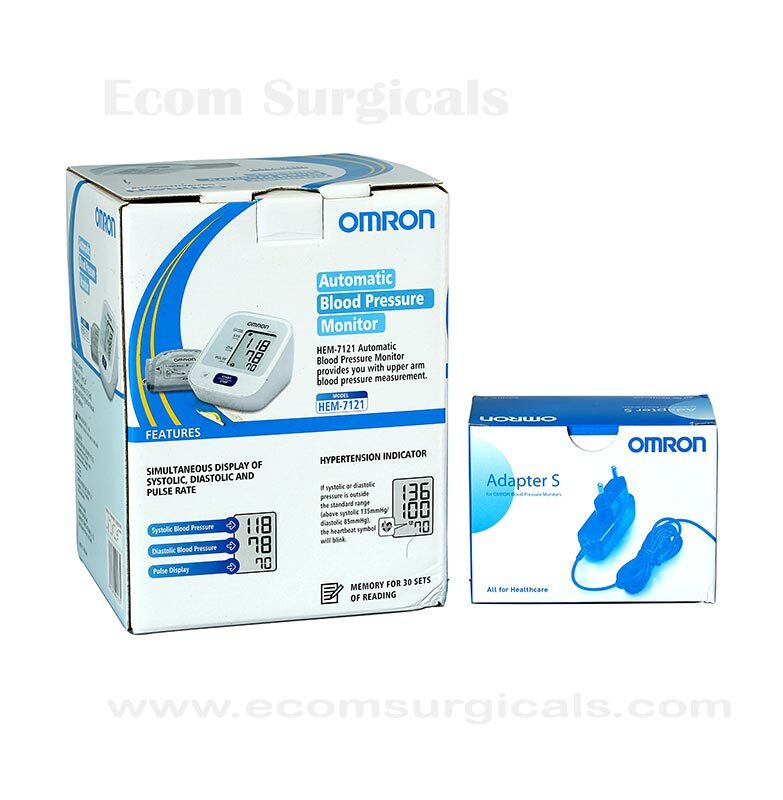 So you have recently bought an Omron bp monitor, and wondering how to measure your blood pressure accurately? Do not worry; it is natural for us to be intimidated by something new, by something we have not done earlier. Using the blood pressure monitor is a pretty straightforward process, though there are few things worth knowing before getting started. 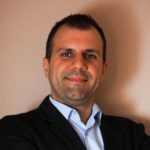 First and foremost, you must realize that monitoring the blood pressure at home is essential; it provides more information in comparison to random readings taken at clinics. At home things are more in control, a person is in relax mood. First, start by deciding the timing and frequency of monitoring the blood pressure. It is something that would depend on your health condition. Most people would not require measuring blood pressure very often, few times a month would suffice. However, if you have poorly controlled blood pressure, frequent fluctuations, or you have been prescribed new medications, then perhaps you would be better off by taking readings twice a day. First reading should be made in the morning, before bed tea or exercise, and second reading in the evening to understand the effect of stress on blood pressure. Next step is learning about the right method, or understanding do’s and don’ts of measuring blood pressure at home using Omron HEM 7121 blood pressure monitor. Do not take blood pressure after exercise, physical exertion, or after smoking and drinking coffee. Better take your readings after about 20-30 minutes of relaxing. It is a good idea to go to the bathroom and empty your bladder. Take complete rest 3-5 minutes before taking blood pressure and do not talk much. Now sit in a comfortable position and make sure that your legs are in relaxation, they are not in a cross position, and your back is with support. Rest your left arm on something like a table, so that it remains still while monitoring the blood pressure. Next wrap up the cuff of blood pressure monitor around your upper arm, your arm should be bare, never take readings over the shirt or clothing. Ensure that cuff is neither too tight or loose, there must be just enough space of single finger to slip in. Finally, make sure that cuff is about one-inch above the fold of elbow. How to Use Omron HEM 7121 Blood Pressure Monitor? Turn on the power of your digital blood pressure monitor. Since your model is automatic, cuff would inflate by itself. After the inflation of cuff, the machine would automatically let the air out and start measuring your blood pressure. When the process has finished, your blood pressure machine would usually beep to let you know, and you can see your readings. It would show the systolic (higher reading) and diastolic (lower reading) blood pressure along with heart rate. If for some reason you want to repeat the measurement, better wait for a minute or two.